Due to the damage and criminal misconduct that occurred on the Arcata Plaza last Halloween, the Arcata Police Department has joined with other local law enforcement agencies to significantly increase police presence on the Plaza during Halloween. 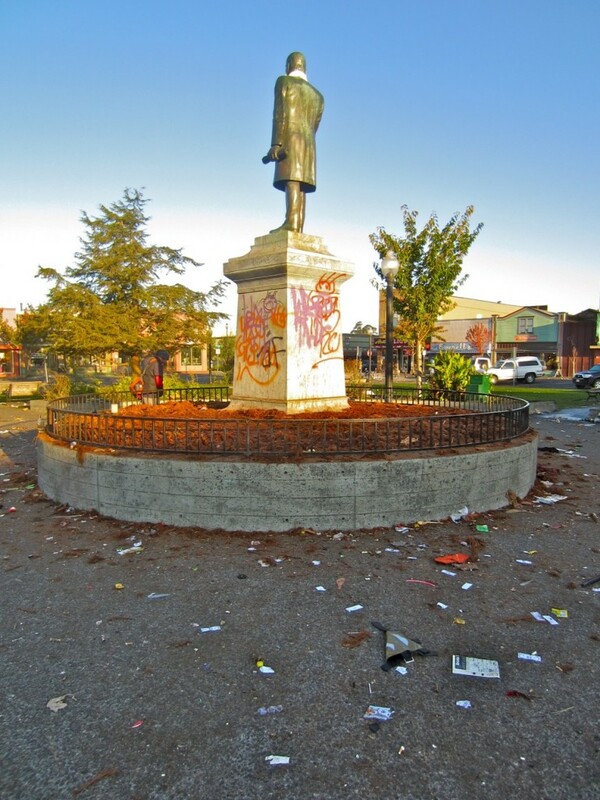 In order to prevent graffiti vandalism, public urination, indecent exposure and the illegal climbing of the McKinley statue, the center of the Plaza will be cordoned off. Entry into the center area will be strictly prohibited. The consumption of alcohol and the possession of glass containers are prohibited and will result in citation or arrest. All laws will be strictly enforced. The City of Arcata and Arcata Police Department wishes everyone a safe Halloween. This entry was posted on Thursday, October 18th, 2012 at 10:21 am	and is filed under News, Community, Environment, Health. You can follow any responses to this entry through the RSS 2.0 feed.